50 Shades Of Mess: How to Remove Oil Stains from Every Surface? 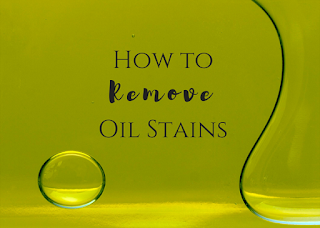 In other words, you are not advised to experiment when it comes to cleaning oily stains as that will only make matters worse. 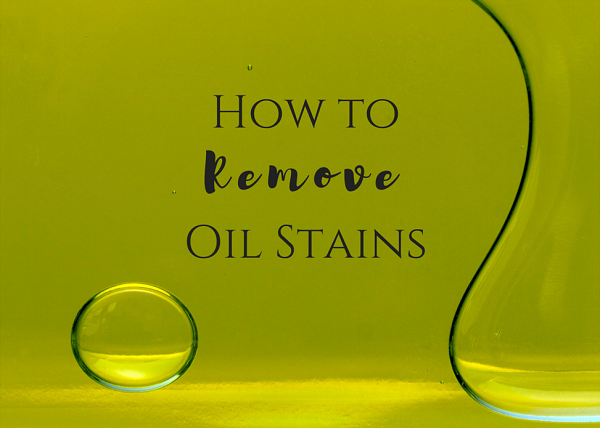 Instead, check out the tips below and deal with the oily stain accordingly. If you live in a rented property, all neglected stains can be a reason why the landlord considers the post tenancy cleaning performance unsatisfactory and as a result, a part of your security deposit is withheld. Even if you have booked a professional end of tenancy cleaning, don`t expect the cleaners to do miracles with stains that have set and have been lingering for months. So, whenever you see a spot, act right away and do your best to remove it without damaging the surface. Let’s see the most effective cleaning techniques for removing oily stains from different fabrics. It is always recommended to keep a stain remover in your bucket of cleaning supplies, but if you don’t have any at the moment, go ahead and do the following. Blot the stain with a paper towel. If necessary, change the paper towel a couple of times, so it can absorb as much liquid as possible. Then, make a paste of baking soda, liquid soap and water and apply onto the stain. Scrub with an old soft toothbrush and let it sit for an hour or two. Remove the paste with a sponge and rinse. Proceed with the standard washing procedure. If the affected surface does not allow washing in a washing machine, rinse as thoroughly as you can and make sure the stain is gone when the area gets dry. If you see an oily stain on an expensive piece of clothing or on the carpet, the baby powder can come to your rescue. The first thing you have to do is to blot the stain with paper towels. Then sprinkle the baby powder onto the stain. Alternatively, you can use salt, which is also a great absorbing product. Let it sit for a while and then, treat the area with a solution of lukewarm water and dishwashing liquid. Rinse and proceed with the standard carpet cleaning/ laundry procedures. If this method turns out unsuccessful, call your local carpet cleaning company for some advice. If you have to deal with an oil stain on a concrete surface, you’d better arm yourself with a lot of patience. Depending on how big the stain is, you might need to perform the cleaning procedure a couple of times until you completely remove it. Basically, there is no point in trying to remove it with DIY domestic cleaning products such as the well-known baking soda paste. The best solution is to opt for a cleaning product tailored especially for concrete surfaces. In order to minimise the risk of accidents, place a rug on the high traffic areas or hire professionals to apply a special protector to the floor. If your expensive leather couch was damaged and you are desperately trying to find a solution to remove the huge oily stain, here is a trick you can apply. Rub the stain with cornstarch, but instead of using a sponge, use your fingers until you feel the treated area is heated. It is a well-known fact that the heat loosens the oil and allows the cornstarch to absorb it. Then, remove the corn starch with a suitable brush. Repeat the procedure if necessary. Here is an old known trick for removing oily stain from a wall. The easiest way to deal with it is to paint over, but if you cannot take up such a project right now, you will need a suitable stain removing product as well as dishwashing liquid and a sponge. Wipe down the area, apply the stain remover and follow the manufacturer’s instructions. Remove as much of the stain as possible with a sponge or a microfiber towel. Next, wipe down the wall with a slightly dampened cloth. Fighting stubborn stains is usually a time-consuming process, so if you want to avoid dealing with such unpleasant projects, do your best to protect the surfaces and the high traffic areas in particular. That’s particularly applicable for your concrete countertop and the floor. Unfortunately, little can be done towards protecting your clothes. Accidents just happen, so grin and bear it and always have a travel-size stain remover product on hand. It might be embarrassing to apply it when you are in public as the stain will be even more visible, but at least, the chances of completely lifting the stain from your favourite t-shirt are higher.